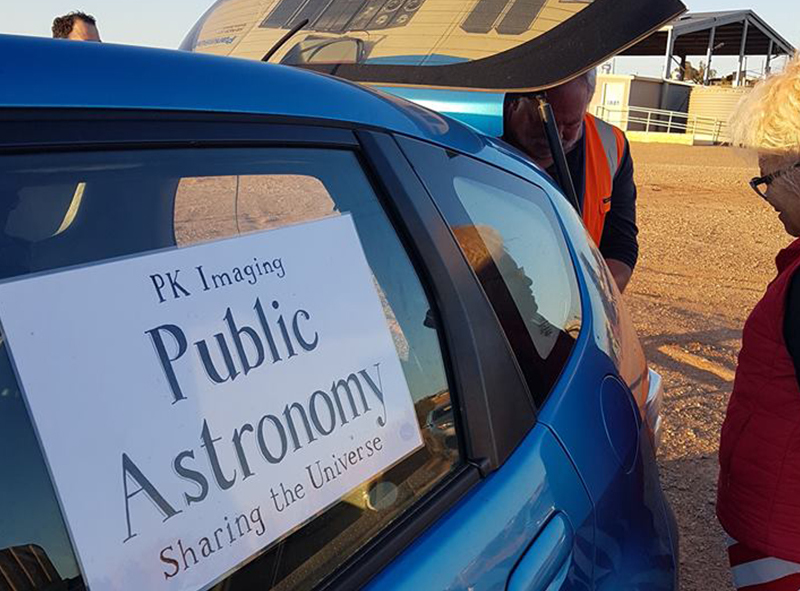 We were so lucky to be joined in Andamooka by Dr Muhammad Akbar Hussain of the Southern Cross Outreach Observatory Project (SCOOP) and Paedric of PK Imaging Public Astronomy as part of National Science Week. SCOOP is a high powered mobile telescope housed on the back of a truck allowing Muhammad to bring the stars to the public! It’s estimated over 200 people attended the event. 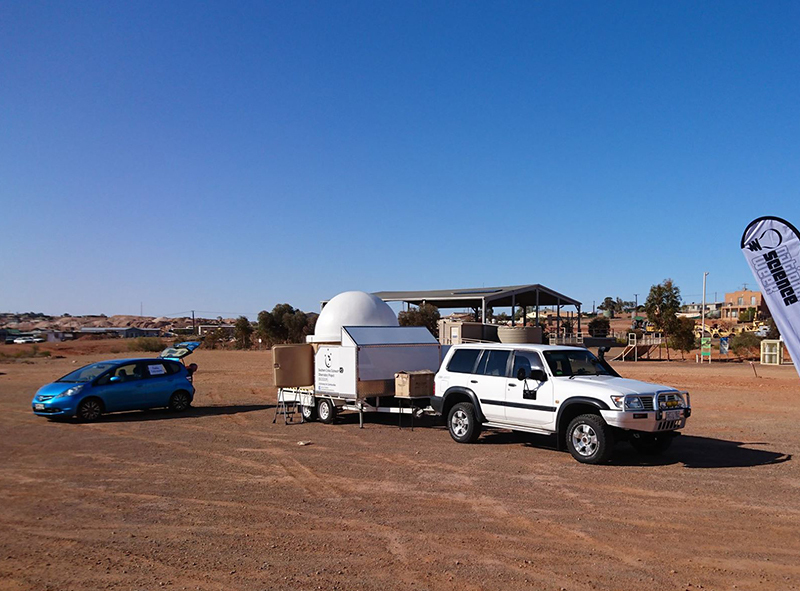 Muhammad says ‘We reached Andamooka, a remote Opal mining town in South Australia. This is our second visit to the town and was extremely well received. The sky was pristine and offered great views of Sun through PK’s solar telescope in the daytime and planets and deep sky objects from the observatory at night. The objects in focus for night time astronomy were Mars, Saturn and Jupiter. We also had a brief view of the crescent moon through the 8-inch dobs outside the observatory. 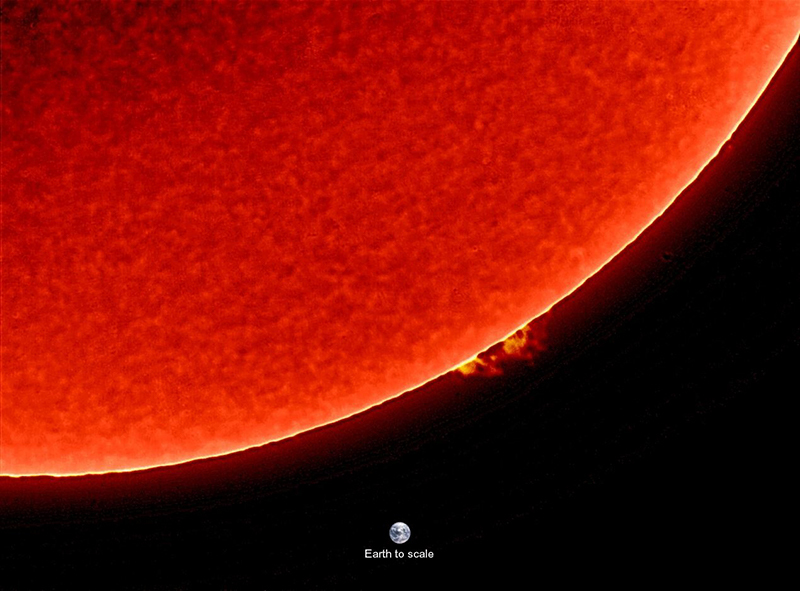 PK Imaging brought his unique setup which allowed us to see a live feed of the sun during the daytime. All who were lucky enough to catch this commented it was a unique and wondrous site. 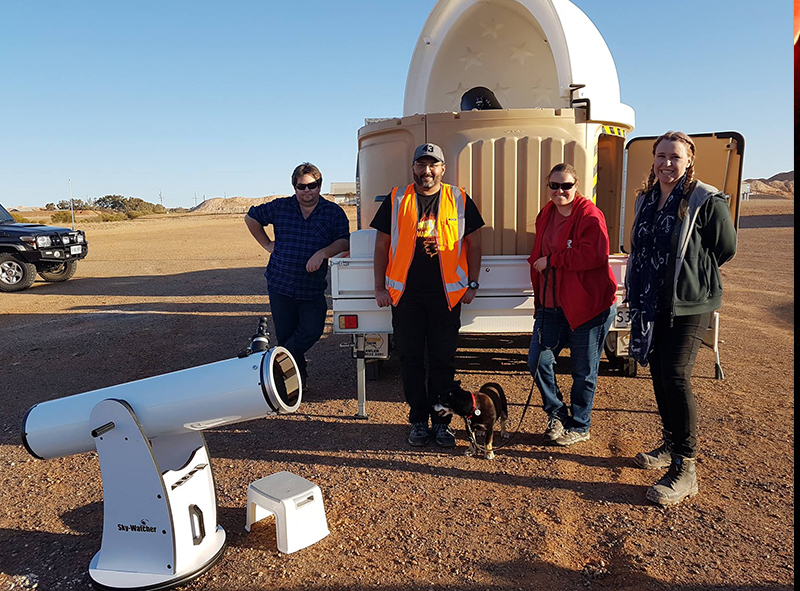 Bec and Richard of Woomera Baker Observatory were present too and greatly facilitated the viewing of globular cluster and other deep sky objects through the manual 8-inch Dobsonian. Charlie & Pip brought the coffee van to the venue helping to keep us all warm and caffeinated. Chaddo kept us fed and warm with bonfire and curries. RoxFM came to enjoy and interview those involved. 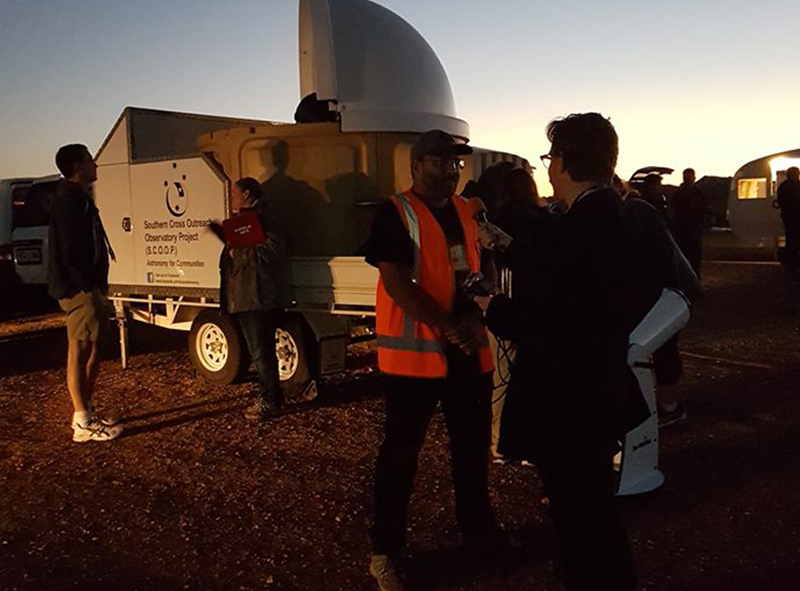 “The clear night sky proved an amazing opportunity for the Andamooka locals and everyone who drove up from Roxby Downs to get outside and learn about the planets in our solar system from the comfort of SCOOP’s portable observatory. 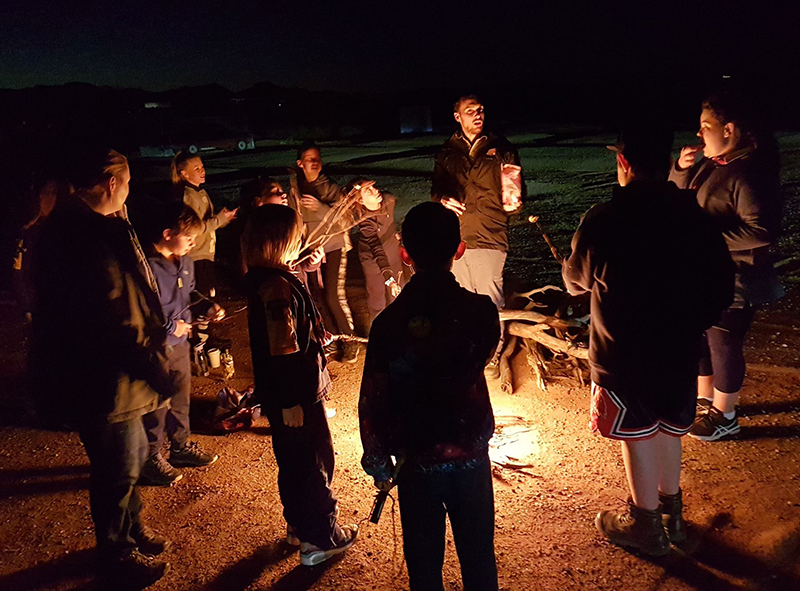 There was a big turn out on the night, with fire and marshmallows provided by Arid Recovery.” Read the full article and listen to an interview with Muhammad Akbar Hussain. We were also delighted to have Arid Recovery on hand who kept the many kids busy with campfires and marshmallows. 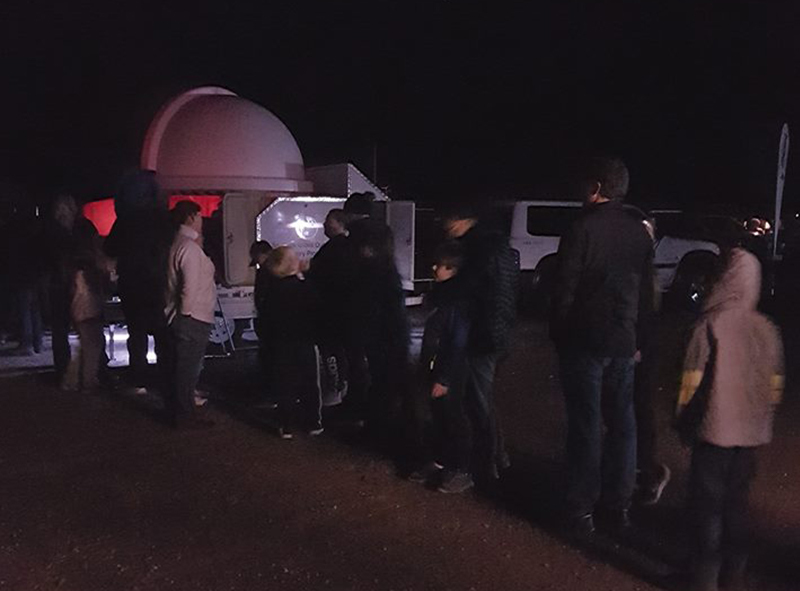 They say “Last night, stargazers young and old flooded the small opal-mining town of Andamooka as part of National Science Week. 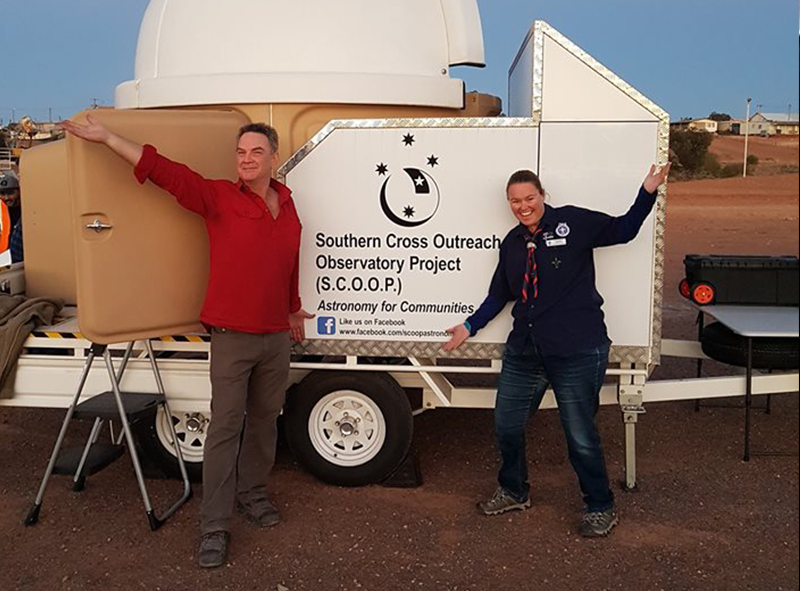 The Southern Cross Outreach Observatory Project – SCOOP, Woomera Baker Observatory and Andamooka Observatory wowed the crowd with stunning views of the cosmos, including close-ups of Saturn and Jupiter, star clusters and nebulas. 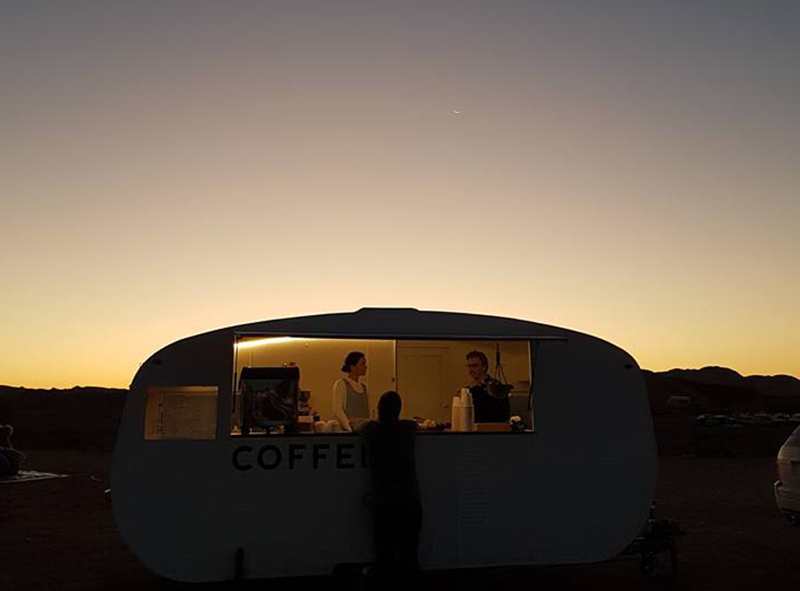 The event was supported by Andamooka Observatory, Inspiring South Australia, Charlie & Co. Coffee Van, Arid Recovery, RoxFM and the Andamooka Progress & Opal Miners Association.